For decades, Brands have implemented the same advertising tactic of showcasing mass appeal communications to a broad audience. And though the strategies available to engage a target demographic have multiplied over the years, many Brands have yet to take advantage of this great advertising opportunity. 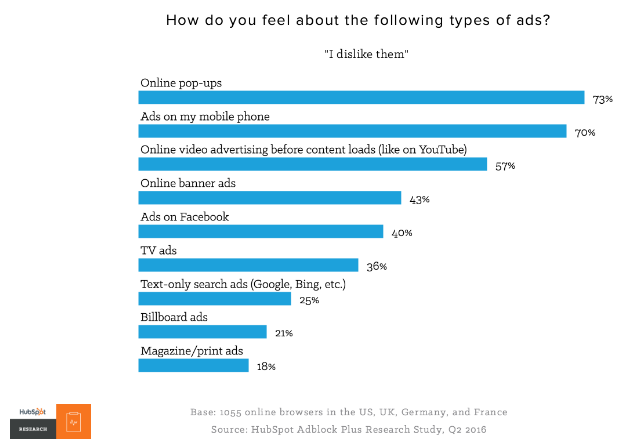 Which is why people began labelling advertising as a scourge upon them, particularly online advertising as can be seen from Hubspot’s research study below. And then came the technology that quickly became a blessing for Internet audiences’ ad blocking. Ad blocking is a software based feature that eliminates the ads people are exposed to when browsing online. According to PageFair’s report, 220 websites that were a part of their analysis had an ad blocking rate of 22.7% on average. Multiple sites had significant variance in these rates, from 1.5% to 65%, with 12% standard deviation. This high rate of ad blocking meant revenue loss for web based businesses that rely on advertising as their main source of revenue. One of the source’s clients suffered an annual loss of $500,000 with just 25% ad blocking. So what can you do to counteract ad blocking? 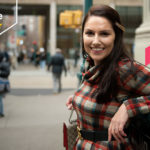 The solution lies in working with people who strive to build a genuine connection with their audiences, mostly by delivering quality content. 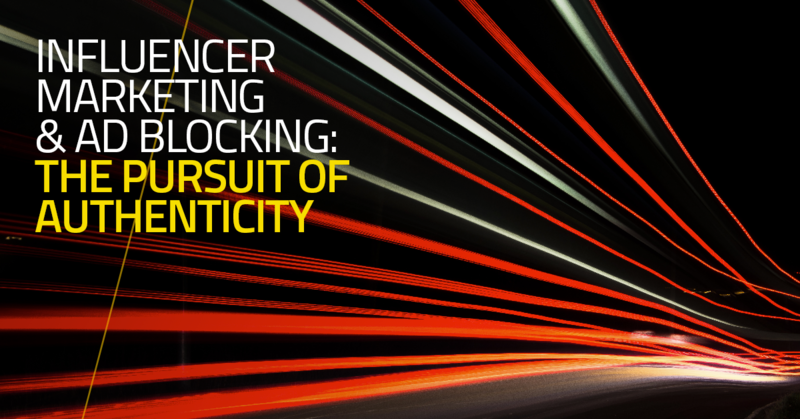 Influencers are experts in the niche they specialize in, which is why their followers see them as authentic. So you, the Brand marketer, can find your way around ad blockers by collaborating with Influencers. 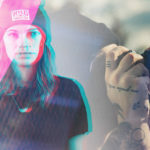 Branded content produced through Influencer Marketing campaigns is not restricted to the rules of conventional banner ads. 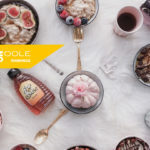 Instead it can be indicated with a caveat or hashtag such as #ad on the content itself, although not all markets have the same rules about how to indicate collaborations with an Influencer. As a result, editorial content has the highest chance of reaching your target audience. When you run an Influencer Marketing campaign, your promotion isn’t regarded as an ‘advert’ because it is mostly ‘editorial content’ published on forums, blogs, social media platforms, etc. Influencers’ content is not blocked by ad blockers because it is not an ad, they are published on content platforms and which is not the ad technology that is targeted by ad blockers. But Influencers should not be thought of as only a way around ad blockers, these are not direct adverts. Influencers are far more effective than that. 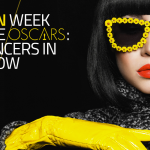 For followers, Influencers are ‘tastemakers’ within their niche of interest. Therefore, when used right, the content generated by Influencers fit in their feeds seamlessly unlike banner ads on popular websites. 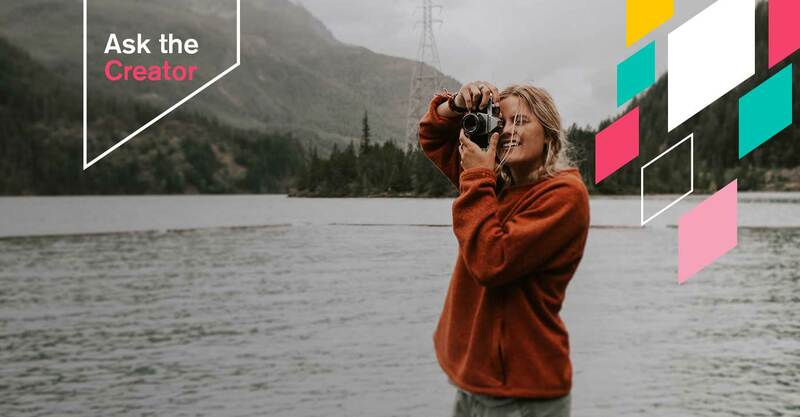 Also, you get to maneuver creativity and relevancy to a greater extent in Influencer Marketing campaigns compared to traditional web advertising campaigns. This is content that your potential customers can enjoy, rather than work to avoid. 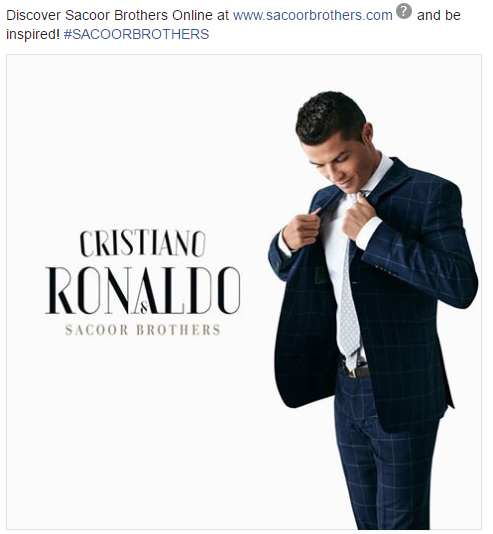 For instance, Cristiano Ronaldo is the Influencer for Sacoor Brothers in this post. This is an editorial post published by the footballer / his social media team directly on Facebook. The Brand mentioned in the post will achieve a good amount of reach without having to worry about ad blocking. The reach wouldn’t have been the same if the brand had run a PPC ad campaign. Cristiano Ronaldo commands clout from his millions of followers. Due to this organic reach, several marketers – 81% according to an eMarketer report – consider Influencer Marketing as effective. Brands get a $9.60 in EMV (earned media value) on average for every dollar spent on Influencer Marketing campaigns. All of that said, you can’t consider Influencer Marketing as a silver bullet. 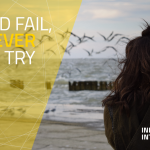 It still requires smart execution, like all other forms of marketing. If you infuse mass messaging inside the Influencer based content, it can be susceptible to consumer backlash and even distrust. Acknowledge That Your Audience Is Smart: You won’t be successful if you just go for “the number of followers” of a key individual. I know it’s tempting, but your audience is well educated. They want to see relevant content on platforms they use frequently. 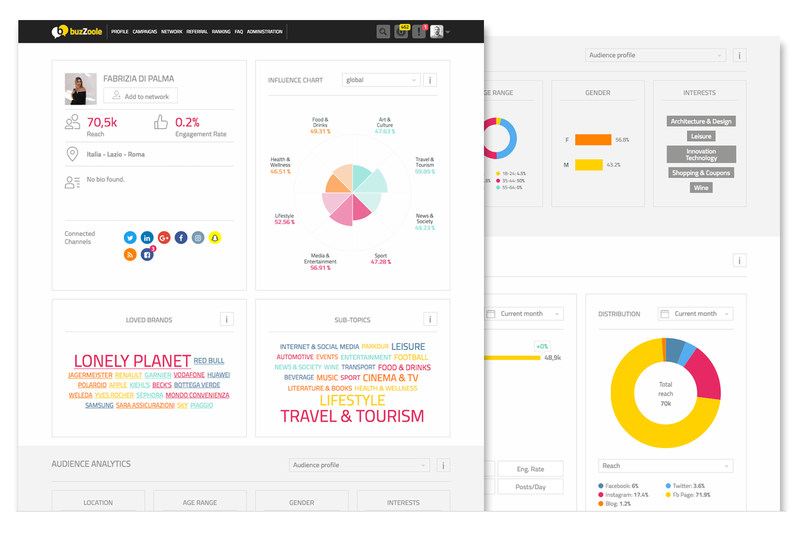 Conduct an in-depth study of your audience before proceeding. Collaborate & Offer Something Useful: Add value and you bring the chances of facing backlash down to near-zero. Social media and web audiences love things like life hacks and educational advices. Collaborate with your Influencer to create content like this and add the validation of a “trusted source”. 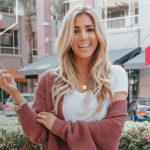 Empower Influencers With Publishing Authority: If you take the traditional approach of controlling what the Influencer publishers, by asking them to repurpose your Brand’s content for instance, you could end up reducing the authenticity of your Influencers. Give them space to insert their own voice as it’s what their audiences love. Further, Influencers are far more likely to agree to a campaign that they have a say in. In a nutshell, people don’t want to see robotic, irrelevant messages. They want authenticity. 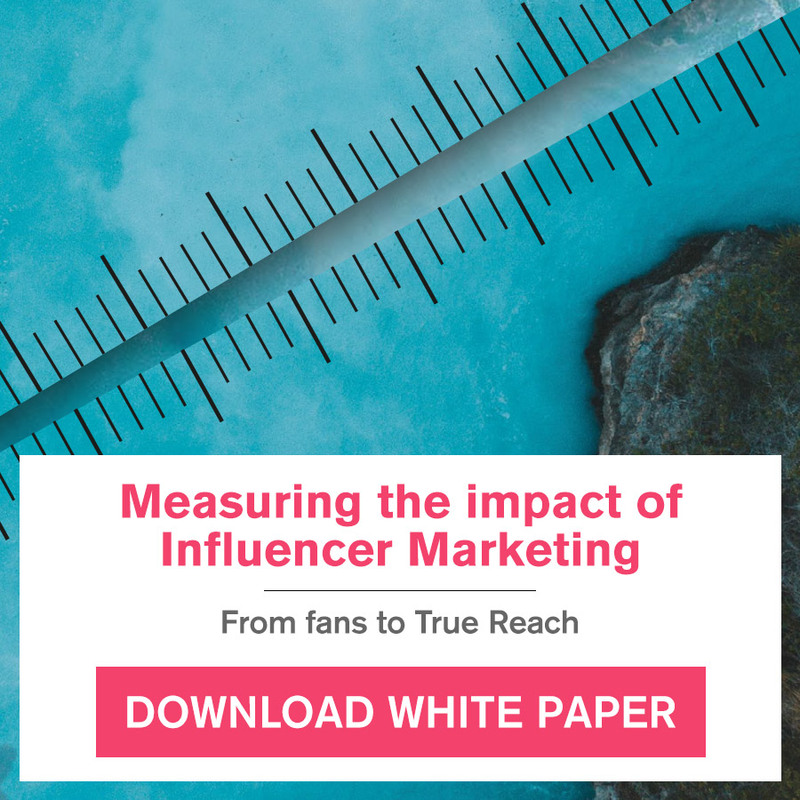 Your Influencer Marketing campaign will be successful if it has the same effect on people as their friends and relatives do in terms of communication.